Hi everyone! I can’t believe that it’s been weeks since I’ve posted. Things have been busy around here with my return to work. I have also been working on things behind the scenes, getting patterns ready for testing and trying to wrap up a couple of projects. There’s always more projects than time! But what’s this? 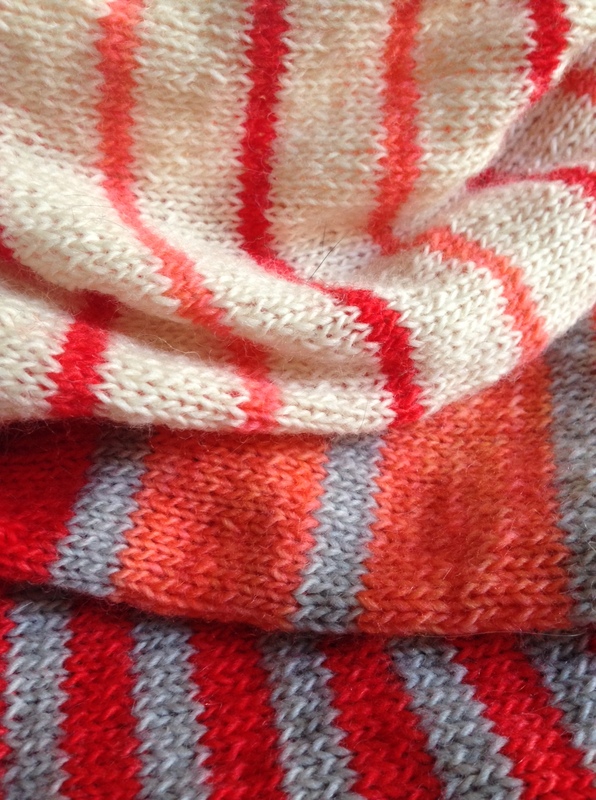 It’s a sneak peek of a recently finished project using lovely bright RainCityKnits yarn. I’m currently writing up the pattern and should have it very soon ready for test knitting on Ravelry. I love my test knitters! I have a hat project though that will go first for testing. Let me know at theredfoxandgown@gmail.com if you are interested in test knitting for me. Last but not least, I want to wish you a very Merry Christmas and best wishes for the New Year. 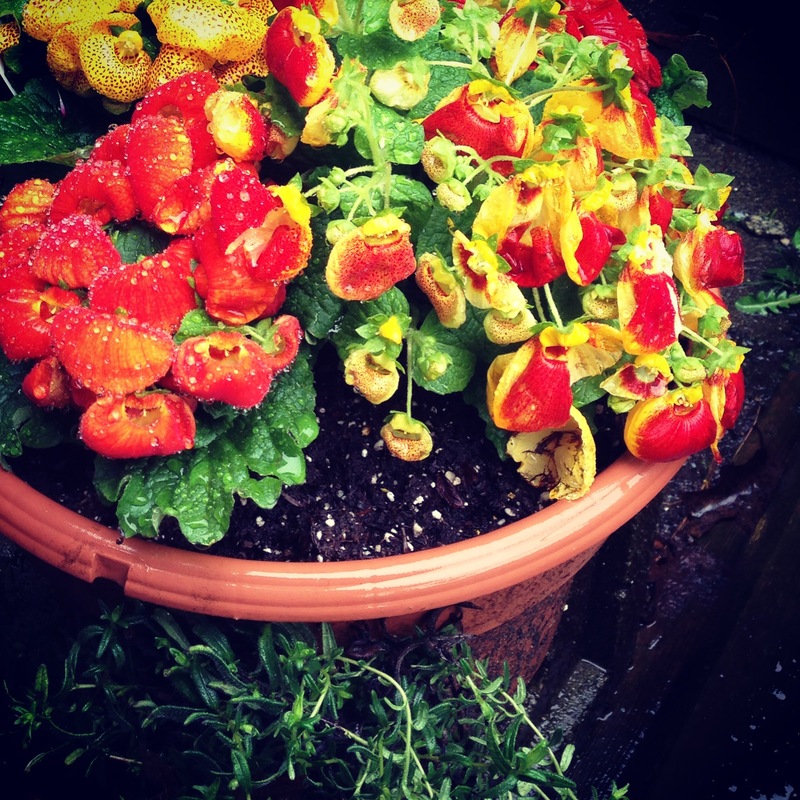 And happy solstice too! It’s fitting that there is snow on the ground in Vancouver for this first day of winter. The best part is that the days finally start getting longer at last. Hooray! 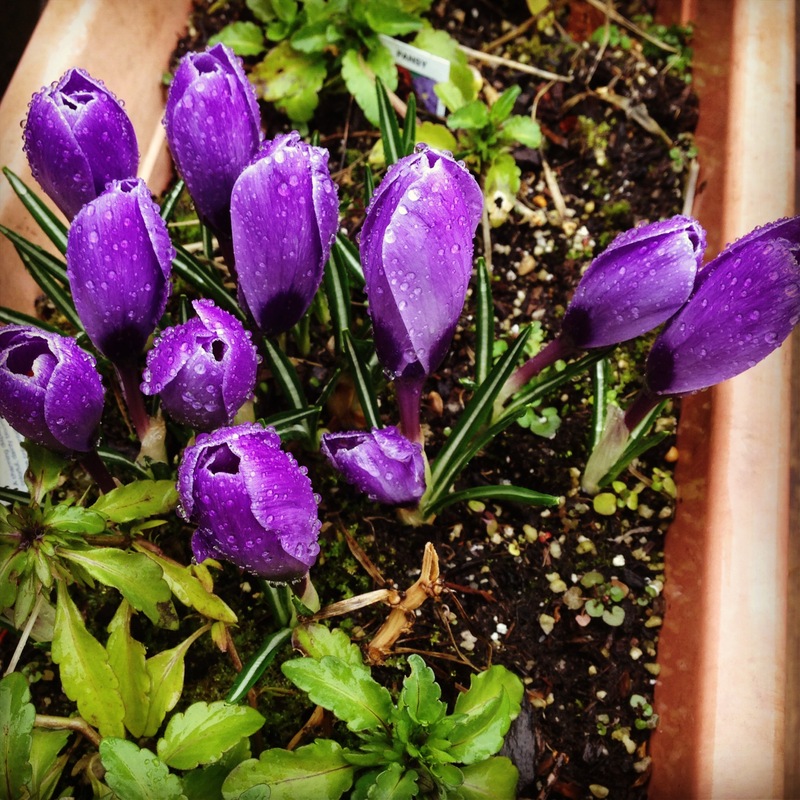 Apologies for the radio silence – things have been busy around here as spring approaches amid the Vancouver rain. Lots of projects are on the go and I’m busy getting ready for Fibres West on 22 and 23 March 2013, held at the Cloverdale Fairgrounds in Surrey, BC. It’s hard to believe that the event is only 10 days away. As for The Red Fox and Gown, work has been going on behind the scenes on getting my booth display prepared. Things are mostly together at this point, I’m happy to say. I’m excited to sell printed patterns (on heavyweight paper and kept in a plastic sleeve) at the show, with samples of the different projects on display at the table (guess which one is me below). 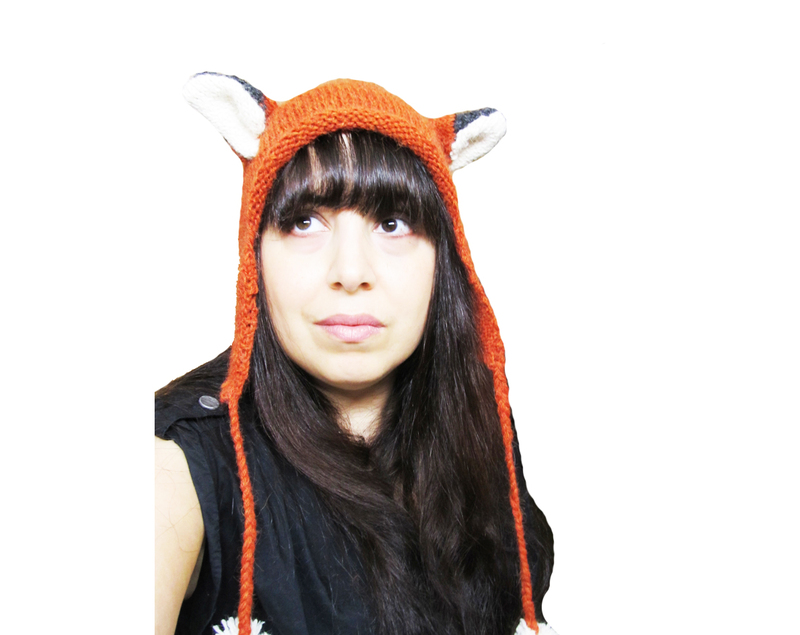 I have about 10 accessories patterns ready to go, including favourites such as the Sage Woodland Hood, Cloud Cowl, the Foxy Business Hat, and the Star Slouch Hat. 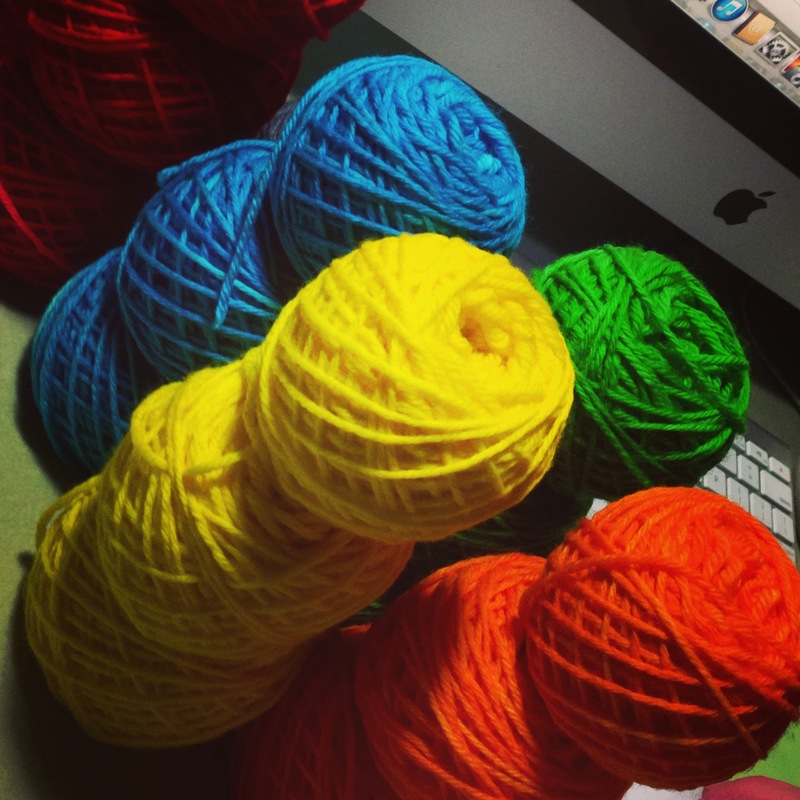 I’ve also helped out my sister Krista with her preparations for RainCityKnits’ booth for Fibres West too. I spent the afternoon yesterday helping out with her beautifully dyed yarns. I got to play with Babycakes (yay!) and her gorgeous electric coral yarn in worsted weight. Please stop by at The Red Fox and Gown booth at FIbres West and say hi! I had the good fortune to meet Erin of Knot Canadian through Ravelry this past week. Amazingly, she wanted to interview me about The Red Fox and Gown. She had lots of really good questions that made me think, and think hard. 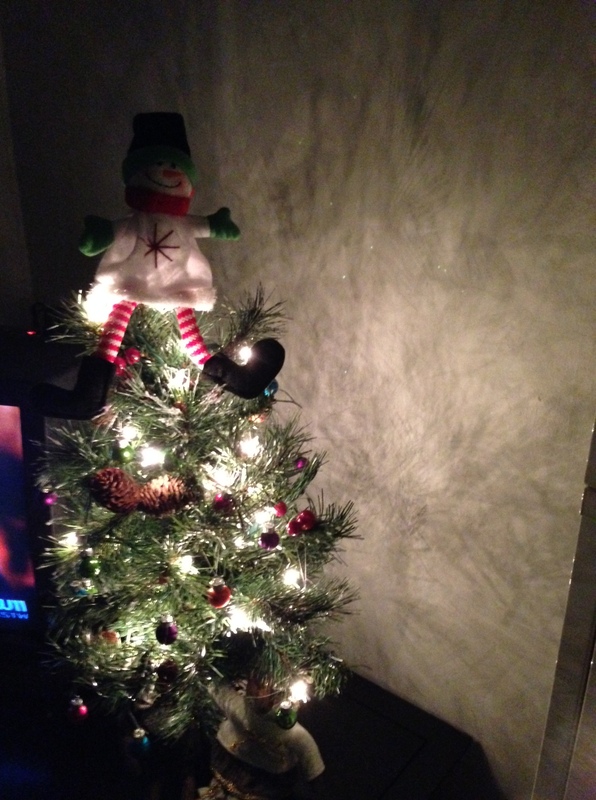 Not only is she great with the questions, she’s a very quick elf – the interview is all polished up and already posted on her blog, Knot Canadian. If you’re curious about what we talked about over the internet, check out the interview! Thanks Erin! 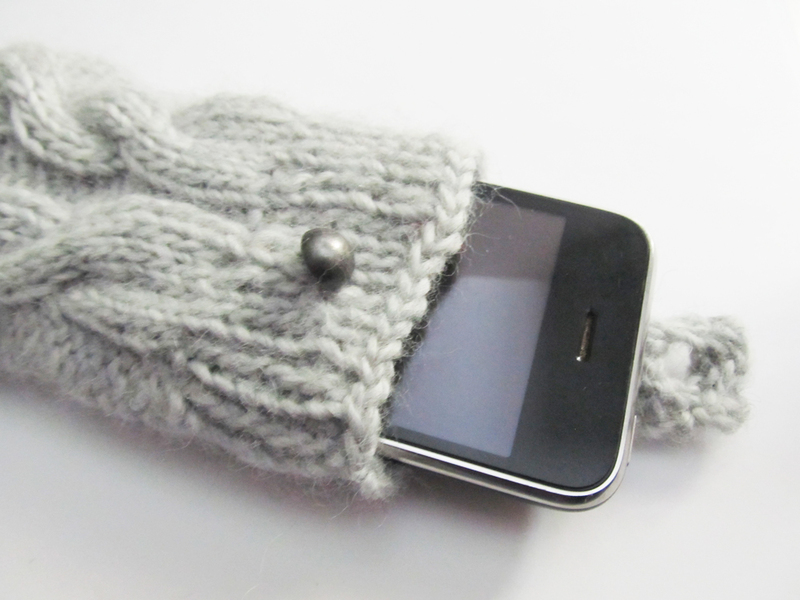 I have a new 100% wool hand knit smart phone cover that I made in the shop. Made from dove grey wool, the phone cover features cables on the front and back and tab button closure at the top. Pattern coming soon! I have some more exciting news to share this week… stay tuned! 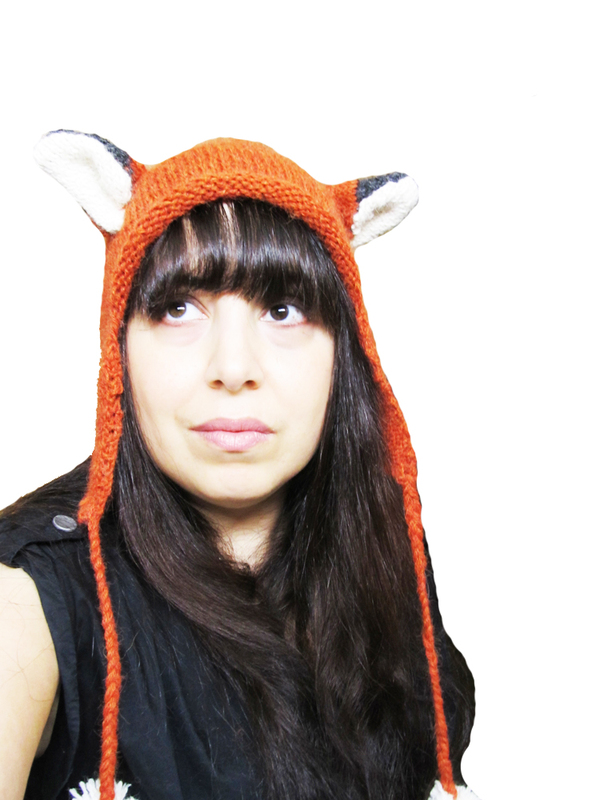 Sage Woodland Hood PDF knitting pattern by The Red Fox and Gown. I’m excited to announce that the Sage Woodland Hood PDF pattern by The Red Fox and Gown is now available on both Ravelry and Etsy. Ravelry provides an immediate download while with Etsy I will e-mail you the pattern within 24 hours of purchase. 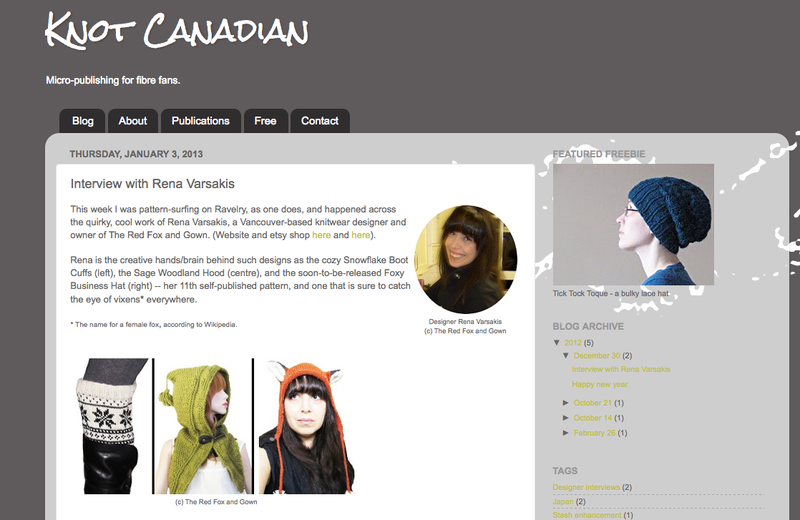 I must say I’m amazed to see this in one of the top ‘Hot Right Now’ patterns on Ravelry. Full view of the Sage Woodland Hood. 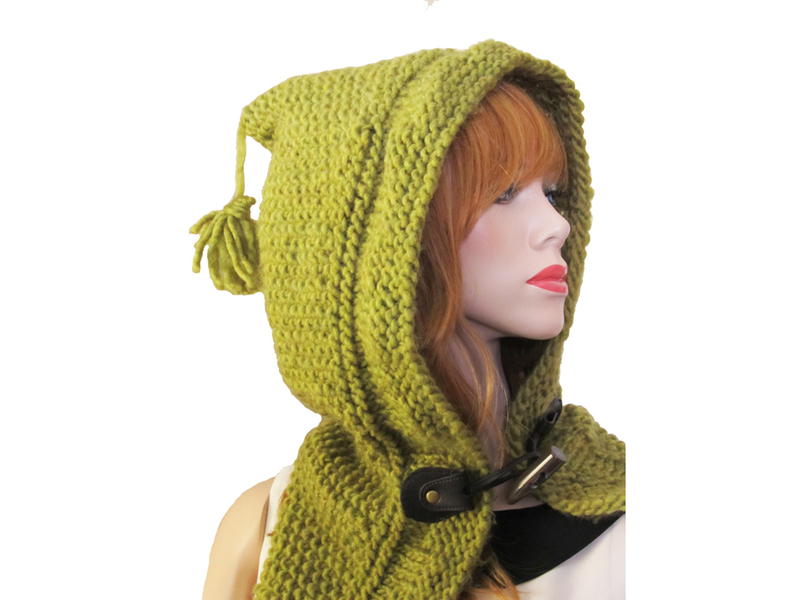 I had a great deal of fun designing this bulky knit hood. It was so tough to keep this hush hush while in the development phase because I was keen to share! I wanted something cozy to keep the ears warm and a transitional piece perfect for fall and winter. I can totally see myself wearing this with a vest or over long sleeves while running about town. Or while prancing in the forest like a woodland creature! Or even snuggling down at home (I’m usually cold, okay? Ha.). The peaked hood has a tassel at the top and a hand sewn toggle closure onto the front. 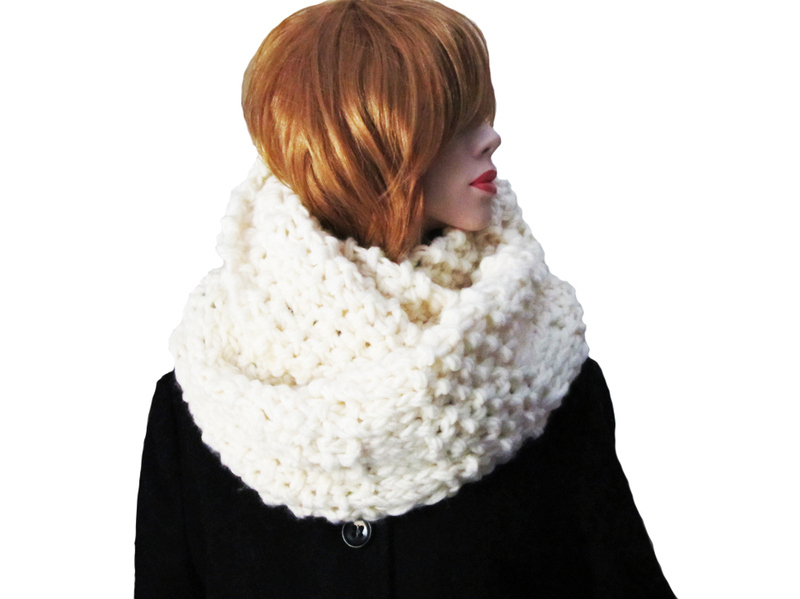 And the adjustable back seam is perfect to custom fit to keep the nape of your neck warm. A new month and unofficially a new season has arrived. 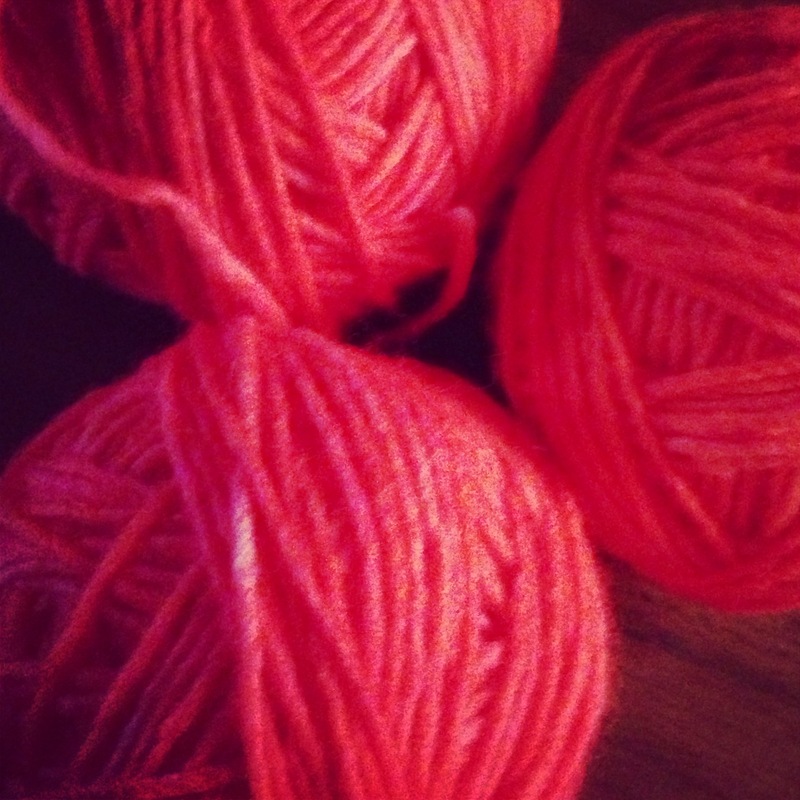 Autumn is prime time for knitting and I have a list of stuff that I want to knit and create. If only I had more hours in a day! Or knit faster, ha. To celebrate September, I think it’s time for a contest. All you need to do is e-mail me at theredfoxandgown@gmail.com with ‘pattern contest’ in the headline and your name and country before 1 October 2012. Easy, right? I will then randomly select the lucky winner out of the proverbial hat on 1 October 2012. I promise not to distribute or share your e-mail. Please note that I would love to name the lucky winner in a future blog post, but I will check with you to make sure that is okay with you before I do. What do you win? A PDF pattern of your choice from the Red Fox and Gown to get into the spirit of fall knitting. Or spring knitting if you’re in the Southern Hemisphere! 🙂 I’ve posted the 4 current patterns on this page so you can see what I have on offer. I’ll e-mail the pattern as soon as you let me know which one you like. And that’s it! Sounds like fun, right? The email address again is theredfoxandgown@gmail.com.